A seasonal celebration of football art, design and culture. 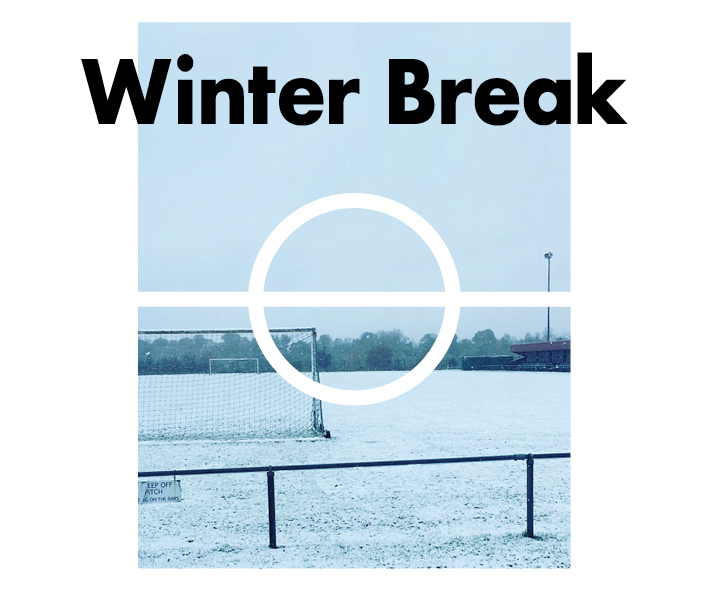 Winter Break will showcase a collection of our recent work together with new pieces by a group of local and international artists. Original artwork will be available to buy in the shop along with limited edition prints, vintage shirts, magazines and other festive gifts. The four day event kicks-off with an opening night on Thursday 8th December. Join us from 6pm to preview the show with music and refreshments. It's free entry all weekend and everyone is welcome. Sign up to our mailing list for new print releases and details of upcoming projects and events. Thank you, you're in the squad!